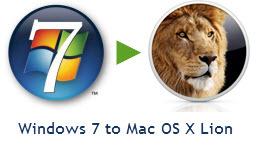 Whether you installed Windows 7, Windows XP, Vista or any other version of Windows OS, it starts to slow down after few months or years of installation. With the same hardware configuration and similar usage, you always like the Windows to operate as fast as it does in earlier days of installation but it slows down. Here I would explain that how can you keep your Windows installation as fast as new even after years. Slow Windows OS after years of installation is caused by both; Hardware and Software. It is a normal behavior to test lot many software on Windows. In the mean time, we install them and uninstall some of them which are not required. Sometimes we keep them installed even if they are not required. Each and every Software installation does take memory and initiate few services. As your hardware configuration is not upgrading, the newly installed software is going to utilize the available one only. This way, you will see noticeable drop in system speed after sometime. If your computer’s RAM and Processor speed is not that much, you will definitely get frustrated with the response of newly launched applications. You may learn how much RAM is enough for a faster PC. To handle the software load, the only way to keep Windows speedy and fresh even after years of installation is to keep system clean. You should only install the software that you are going to need. If you are testing any software then don’t forget to uninstall the same after testing. 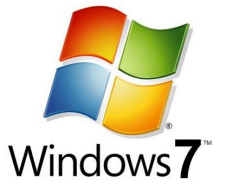 Don’t just delete the application shortcut from desktop or other areas, but go to the “Control Panel” and “Add/Remove Programs” in Windows XP and “Programs and Applications” in Windows 7 to select and completely uninstall the installed Software. Software use to create lot many temporary files and other craps, I would recommend to use CCleaner which is a free application to delete temporary files and documents permanently. [ad id=’7′ style=’float:left;margin:10px 10px 10px 0′] In course of so many installations and deletions, data used to keep fragmenting on the disk. It causes disk reader to work really hard to fetch the required data from the disk. Microsoft provides a free utility named disk defragmenter in Windows to defragment the data and keep them aligned so that disk reader can fetch that without much effort. Keep de-fragmenting your disk in 6 months of interval. 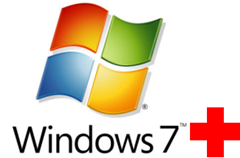 Hardware can also cause sluggish system after years of Windows installation. As Microsoft used to provide automatic updates like security updates and features on regular interval which are really important, your poorly configured system will see drop in speed and performance. To get rid of that problem, you should keep upgrading your hardware specially RAM (Random Access Memory). If you don’t want to upgrade the RAM, at least you should defragment the same which can be done for free. This way you can keep your installed Windows as fresh as newly installed OS. You can add your inputs and thoughts on this subject by just putting your comments.